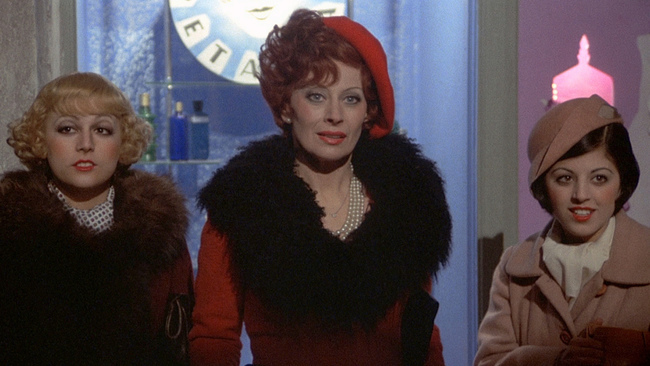 Amarcord, Federico Fellini’s Oscar-winning carnivalesque portrait of provincial Italy during the fascist period, is among his most personal films. 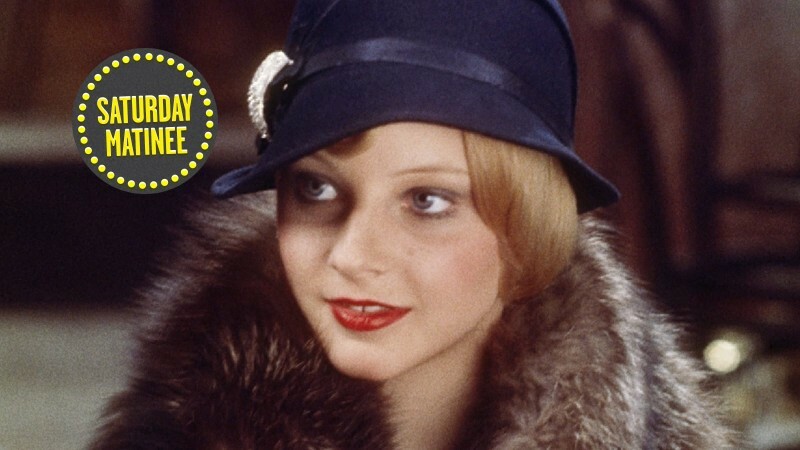 Now revered as one of cinema’s enduring treasures, it satirizes the great director’s youth, turning daily life into a circus of social rituals, adolescent desires, male fantasies, and political subterfuge, all set to Nino Rota’s classic, nostalgia-tinged score. 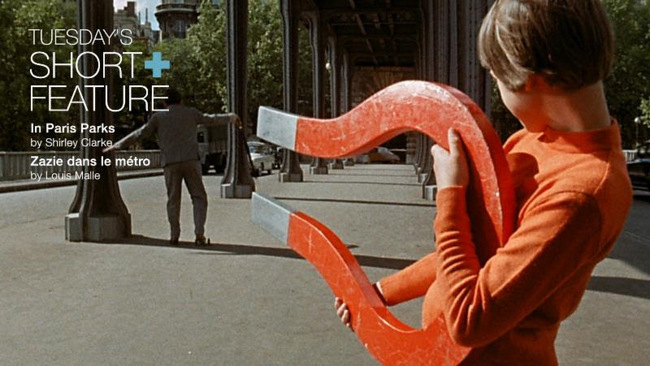 Watch the complete edition now on the Criterion Channel on FilmStruck with a host of supplemental features, including an audio commentary by film scholars Peter Brunette and Frank Burke, a deleted scene, and a forty-five-minute documentary about Fellini’s complicated relationship with his hometown. 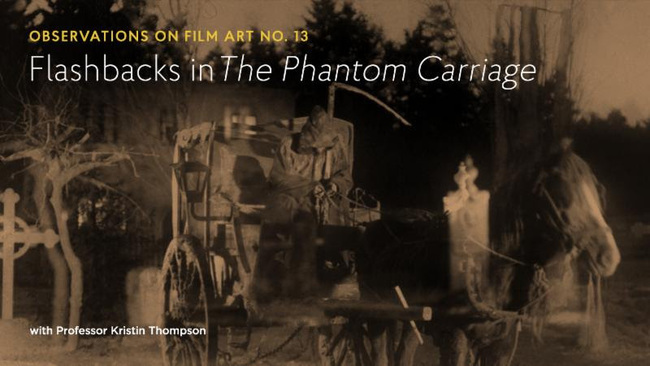 Also up this week: a close examination of the complex storytelling in Victor Sjöström’s The Phantom Carriage, a pair of Parisian portraits, one of the wackiest Hollywood comedies of all time, and two dramas—one American, one French—about troubled businessmen. 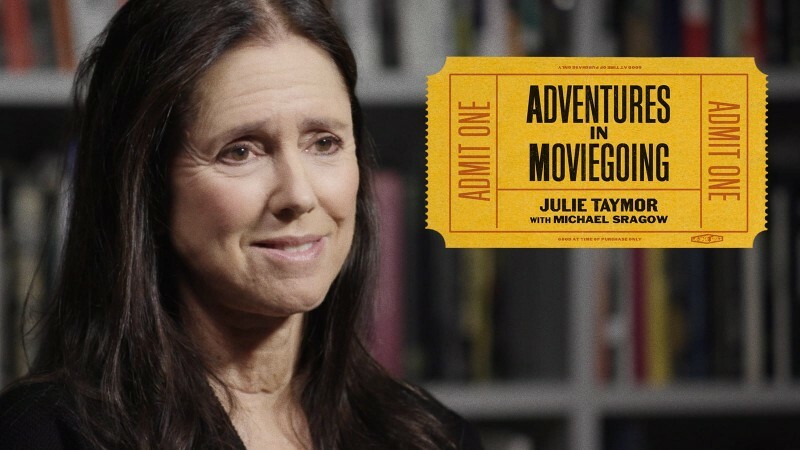 Illustrating that a story’s telling often means as much as the tale itself, this month’s episode of Observations on Film Art—a Channel-exclusive series in which film scholars David Bordwell, Kristin Thompson, and Jeff Smith offer in-depth yet concise discussions of cinematic style—goes along for a twisty ride with Victor Sjöström’s intricately structured The Phantom Carriage (1921). The touchstone of silent cinema presents a handful of extended flashbacks out of chronological sequence—a narrative design that, in Prof. Thompson's estimation, is key to establishing the dynamics between the film’s characters and the strength of its themes of evil and salvation. Watch a preview of the episode here. Children take to the parks and streets of Paris in these urban symphonies, transforming the city into a landscape of playful chaos. 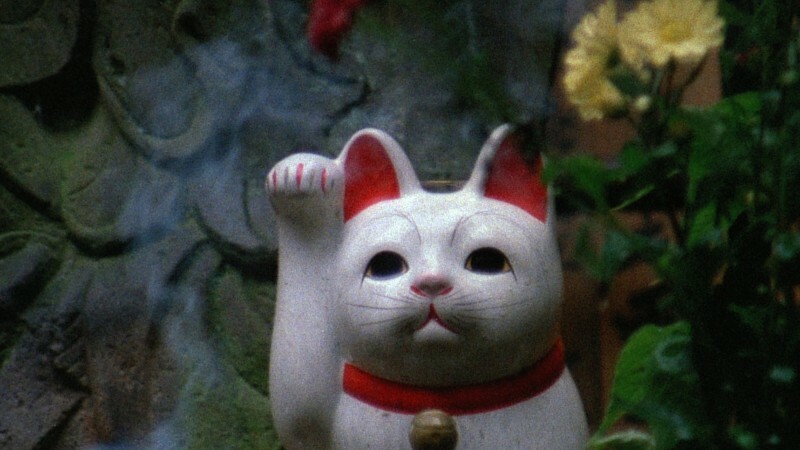 Shirley Clarke’s documentary In Paris Parks short observes the teeming life she finds in the recreational spots where city dwellers bring their children, uncovering the wonders of a seemingly mundane space. And Louis Malle’s Zazie dans le métro brings Raymond Queneau’s celebrated novel to the screen, spinning a brash ten-year-old’s weekend visit to a Parisian relative into an anarchic comedy packed with stream-of-consciousness effects, visual gags, and editing tricks. Stanley Kramer followed his harrowing Oscar winner Judgment at Nuremberg with the most grandly harebrained movie ever made, a pileup of slapstick and borscht-belt-y one-liners about a group of strangers fighting tooth and nail over buried treasure. Performed by a nonpareil cast, including Milton Berle, Sid Caesar, Ethel Merman, Mickey Rooney, Spencer Tracy, Jonathan Winters, and a boatload of other playing-to-the-rafters comedy legends, Kramer’s wildly uncharacteristic film is an exhilarating epic of tomfoolery. 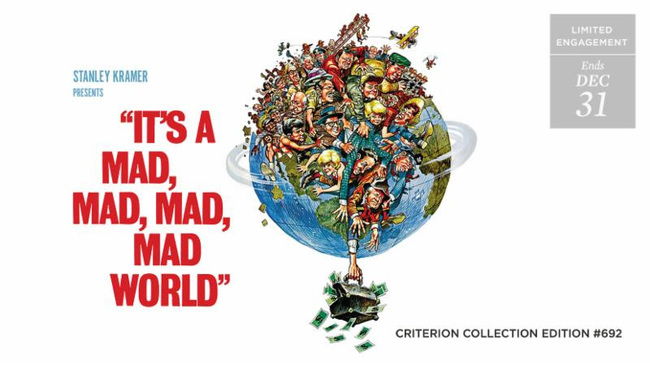 SUPPLEMENTAL FEATURES: an audio commentary featuring It’s a Mad, Mad, Mad, Mad World aficionados Mark Evanier, Michael Schlesinger, and Paul Scrabo; a documentary on the film’s visual and sound effects, featuring interviews with visual-effects specialist Craig Barron and sound designer Ben Burtt; an excerpt from a 1974 talk show hosted by director Stanley Kramer and featuring Mad World actors Sid Caesar, Buddy Hackett, and Jonathan Winters; and more. 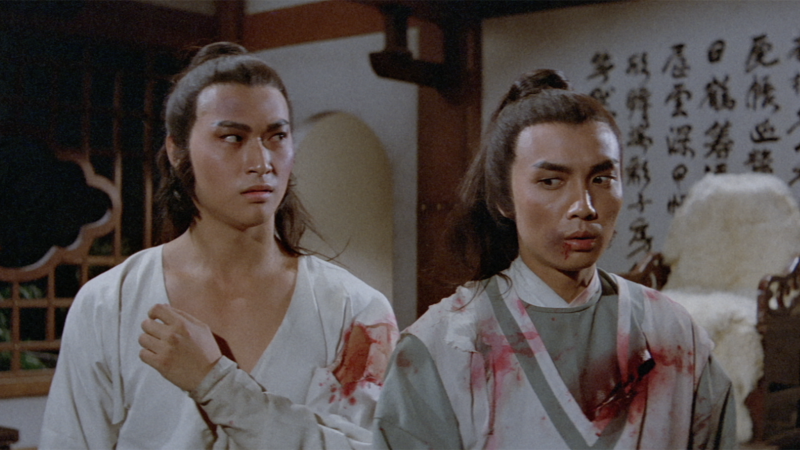 Private woes take their toll on two successful self-made businessmen in this pair of domestic dramas from the 1930s. 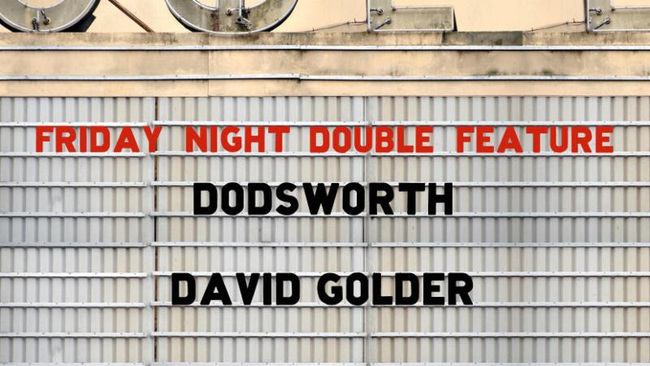 In William Wyler’s Oscar-winning adaptation of Sinclair Lewis’s Dodsworth (1936), Walter Huston stars as a Midwestern auto magnate who retires and embarks on a European voyage with his wannabe-chic wife, only to find that the two of them are growing further and further apart. In Julien Duviver’s first sound film, the moody melodrama David Golder (1931), Harry Baur plays a ruthless banker grappling with business and family troubles.